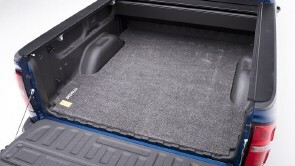 Molded to fit your specific make and model, this liner looks great and fits like a glove. 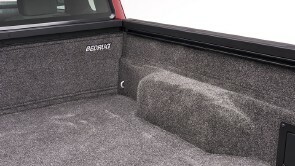 It creates a void-free surface without damaging your truck and allows easy access to factory tie-downs and accessories. 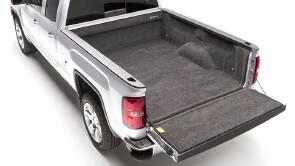 Its non-skid surface keeps your cargo in place, and a built-in hinge between the truck bed and tailgate prevents debris from collecting. Won't absorb water and will not mold or mildew. Water will simply run off the surface out the factory drain holes in the truck bed and will dry in as little as 20 minutes. Just clean it with a hose, power washer or vacuum and your BedRug is good as new.